Today everything is commercial. Business is developing very fast and small towns are developing into industrial cities. 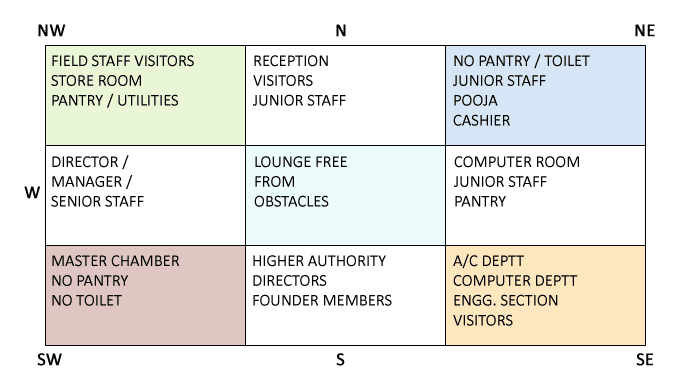 Production is increasing day by day and new offices are opening on daily basis Vastu Shastra plays vital role in keeping the energy balance if the commercial setup is as per the norms of Vastu basics. If offices are not made according to these principles then there will be no balance of energies thus less efficiency of the employees, inability to do work, lack of management thus leading to failure. The exteriors of office like shape/slope/height etc.